BeanShell - Simple Java Scripting Brought to you by: dleuck , giffunip , nick-l , patn , spestov... Take a look at a build.xml in the jaxb examples. They do it like this. So you need to set jwsdp.home in your build file. They do it like this. So you need to set jwsdp.home in your build file. build.properties and build.xml # Licensed to the Apache Software Foundation (ASF) under one # or more contributor license agreements. See the NOTICE file # distributed with this work for additional information # regarding copyright ownership.... 12/06/2007�� Re: How to set class path in build.xml? 800487 Jun 12, 2007 12:27 AM ( in response to 843834 ) Classpath in build.xml is set with the path element. I set the JAVACMD =/usr/java/j2sdk1.4.2_04/b in,in my .tcshrc.Opened a new putty window,source .tcshrc an dit looks like it is using gcj,instead of running under Sun.Is there a way to force it to run under sun in the build.xml?Should I have set ANT_HOME in my .tcshrc? how to set up ping zapper for blade and soul A property is set in the Ant build for each project dependency. Each property name uses the format groupId:artifactId:type[:classifier] . For example, to show the path to a jar dependency with groupId "org.apache" and artifactId "common-util", the following could be used. This snippet of code below shows how I use the Ant fileset task to create a variable named class.path by including all jar files from my lib directory using the pattern **/*.jar. 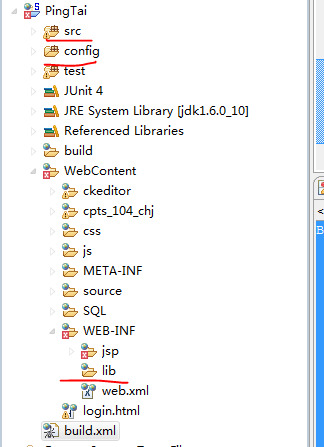 This syntax can be read as "Include all files named *.jar in the lib directory and all of its sub-directories". Hi, I have been trying to make sure that jdk1.4.2 is used for my ant 1.5.4 ( tasks java and javac). I am using a script to execute my build.xml. You can then setup a classpath which includes other classpaths and use the java task to call BeanShell directly or use the script task directly in Ant 1.7 (Ant 1.7 allows one to set the classpath to use when calling the script tag...thus passing a different classpath to the script engine).